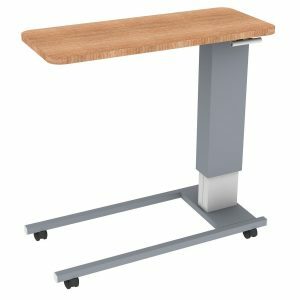 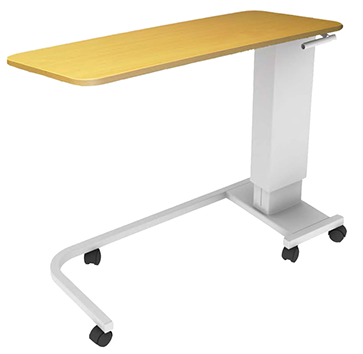 Single leg patient overbed table with adjustable height. 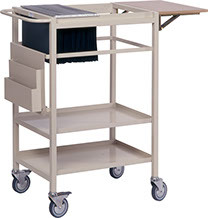 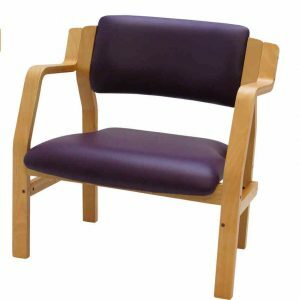 Suitable for use with patient chairs, each overbed table features a height adjustable gas strut which incorporates a safety mechanism to ensure easy release if a bed or chair is raised inadvertently. 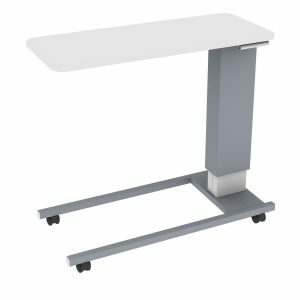 The mild steel powder coated base with a laminate MDF top.